There were worrying signs for Red Bull and the rest of the chasing pack in Monza with Christian Horner admitting that Mercedes' pace were "quite frightening" following their engine upgrade. 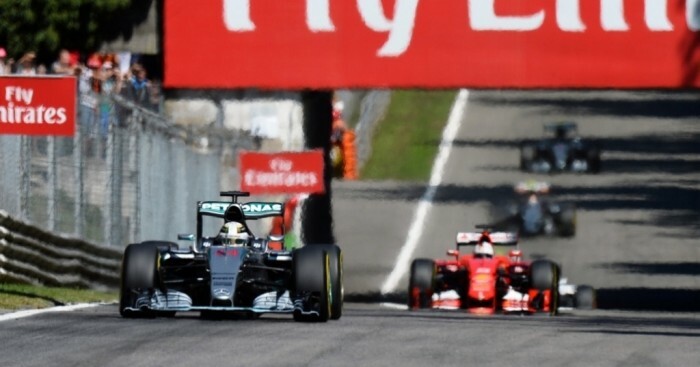 Mercedes have been the front runners in Formula 1 the past two seasons and they flexed their muscles even further at the Italian Grand Prix when they used all seven in-season engine development tokens with one eye on 2016. And their superiority was clear for all to see during Free Practice 1 as Lewis Hamilton was 1.5s ahead of Ferrari's Sebastian Vettel in third place, but they did have an issue with Nico Rosberg's engine on the Saturday. Horner admits Merc's pace is a big concern. "It looked quite frightening on Friday and then obviously they must have had some kind of issue with Rosberg, because it looked like they wound the engines back a little bit," he said. "But certainly the step they made on Friday look significant, quite worrying. I mean, they're in a league of their own at the moment." Although Ferrari were much closer during qualifying, Mercedes' big advantage was clear for all to see on the Sunday as Hamilton won the Italian GP by 25s from Vettel. "Ferrari, certainly in qualifying were closer than Friday suggested," Horner said. "Then in the race we saw the kind of pace that Lewis had on a scrub prime tyre at the end there and it was pretty awesome. So I guess he was just managing the gap throughout the grand prix, so I think they're clearly someway up the rope."